​Pitzer Digital is proud of the work we create and the customers we represent. With that being said, we are making it a priority to showcase our creations and our customers. Knox County Development Agency is a customer we had the pleasure of working with these past couple months. KCDA came to us wanting to do a little rebranding. They wanted to change their logo to better represent the county as a whole. They also requested a new website design, wanting to combine the two websites they previously had into one for easier access and more convenience. They also asked Pitzer Digital to produce a tourism guide to help inform tourists and visitors of available options for the 2017 year. Megan Hanefeldt, the Knox County Economic Development Director, took the lead on all projects and worked side-by-side with Samantha Cleveland and Meggie Flenniken. Hanefeldt envisioned rebranding Knox County to encompass all of its’ major aspects - tourism, agriculture and a sense of community with strong heritage, instead of focusing primarily on the Missouri River. Pitzer Digital took the idea and ran with it. We started first with the creation of a new logo. We wanted to bring a sleek and modern design that encompassed the diversity that the county has to offer. We decided to stick to colors of nature to tie in the concept that Knox County wanted to bring to life. Next, we designed the website and the tourism guide. Both were lengthy processes, but we took them in stride and developed two pieces we are very proud of. 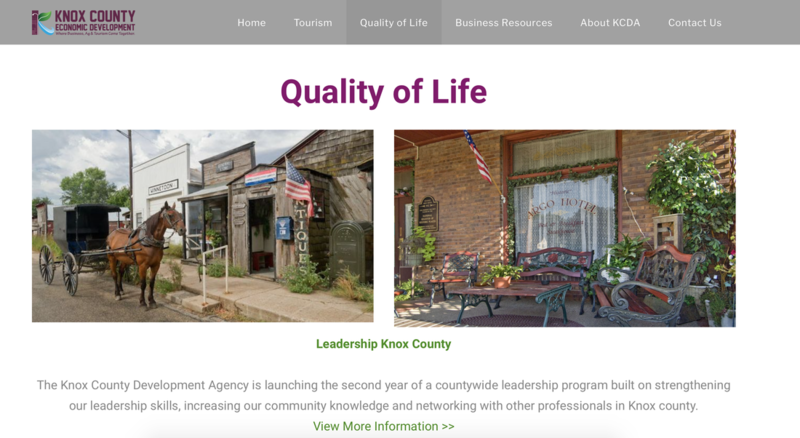 You can visit the new website at www.knoxcountynebraska.com and view the visitor’s guide under the tourism tab. Stop by next week to see our work with Joseph Pearce Painting. Oops, We Did It Again. #Bum,Bum,Bum! Oops, we did it again. 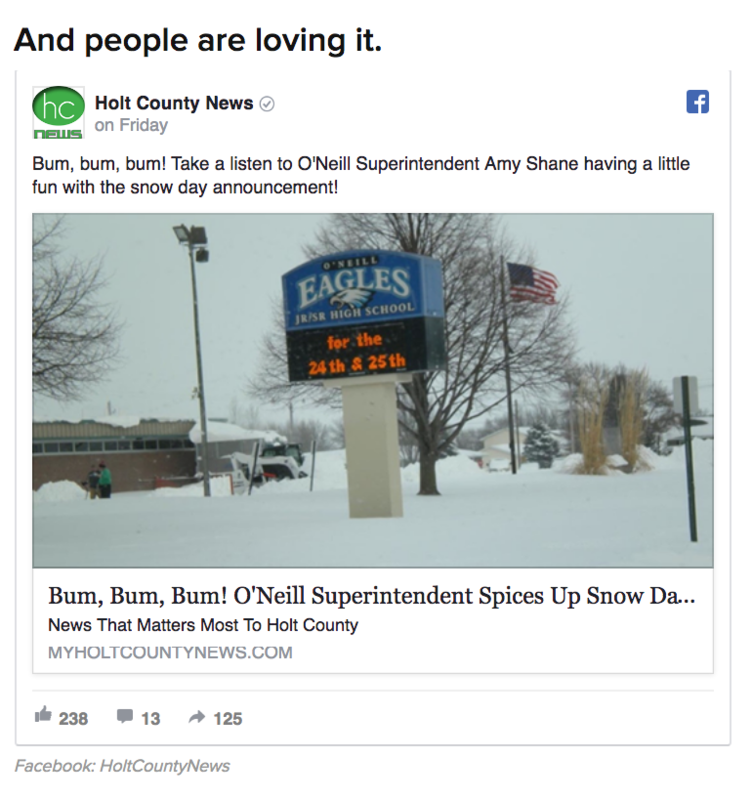 Well, that might not be the exact song showcased on BuzzFeed last Friday afternoon, but Holt County News managed to go #ruralviral, again. For the second time in less than a week, the small Nebraska medium has appeared on one of the most popular and trending websites – BuzzFeed. BuzzFeed is a website that showcases the most popular and trending stories, or buzz, as they would like to call it, happening around the globe. So how did Holt County News make the cut this time? Content, and once again, social media. O’Neill Superintendent Amy Shane cancelled school on Friday due to the heavy snow fall and high winds that Northeast Nebraska received. As if calling off school isn’t great enough, Shane got creative and cancelled school to the tune of “Sweet Caroline.” In less than no time, Holt County News had the story covered and shared all over the Internet. We could have easily just shared “No School on Friday,” but instead, we developed a story from the content, wrote a great headline and took it to the next level as we pushed it over social media and our website. As you will see, the BuzzFeed post came from BuzzFeed Community, meaning that the community, or specific readers, picked it up and thought it was clever and catchy enough to be BuzzFeed worthy. Reporting the facts is always the goal, but developing the content around the facts is what makes a good story great. And what you do with that content after the story is developed is even more important. Social media is the foundation of generating buzz and pushing stories to the next level. Sure, waiting until Wednesday for our newspaper to go out is a great option, but social media lets you receive news and the latest buzz at the snap of your fingers. If we wouldn’t have pushed this story over social media, you may still be waiting to hear about it. All in all, content and social media are two of the most important aspects to focus on when developing stories and putting them out to consumers. It has taken us #ruralviral twice in the past week. What will be the next story we take #ruralviral? Who knows, but if this is any indication, we’re sure you’ll see it online. ​More than 1,000 shares on Instagram courtesy of Cosmopolitan is a pretty big deal, especially for a Northeast Nebraska media. So how did the Antelope County News hit #bonuslevel on social media with more than 1,000 shares on Cosmopolitan to become #ruralviral? Well, hashtags. Last Thursday, Cosmopolitan & Seventeen Magazine featured ACN’s Instagram post in their "15 Seriously Cute Promposals Any Girl Can Pull Off." The post featuring Neligh-Oakdale seniors Damon Arehart and Chase Vleck via the Antelope County News has now gone viral, and has been shared almost 1,000 times. So why is this such a big deal? Well, come on – it’s Cosmopolitan, Seventeen Magazine and Neligh, Nebraska … but really, it’s all about strategic social media. Social media is the one thing that can bring like-minded individuals and businesses together around the world within just one click of a hashtag. Hashtags group similar ideas, discussions and topics to a single thread, which makes it an efficient avenue for individuals to search for compatible content. Hashtags also allow content to be more easily seen by others on social media and search engines. For ACN, the hashtag #promposal took the Instagram post from small town to big city in less than 10 days. National attention obviously is a pretty big deal when you are coming from a small rural community, but what’s even more important to ACN is that we engaged with a younger generation that is sometimes hard to reach. Over a single post on Instagram, our reach and engagement went through the roof. In fact, ACN is one of the few media outlets in Nebraska to reach consumers via Instagram – the platform that enabled all the hype. Instagram is one of the hottest social media platforms available. If it wasn’t for Instagram and our #promposal, we wouldn’t have made Cosmopolitan or Seventeen Magazine. ACN has come to show that social media is a very powerful tool. In fact, it might be the most powerful tool in the box. However, it is only powerful if you use it strategically and resourcefully - by hashtagging items that are related to the content you are sharing, sharing on multiple avenues of social media, not just the mainstream Facebook and Twitter, and encouraging engagement throughout posts. We let social media and hashtags take us to the #bonuslevel and #ruralviral. Pitzer Digital could do the same for you. 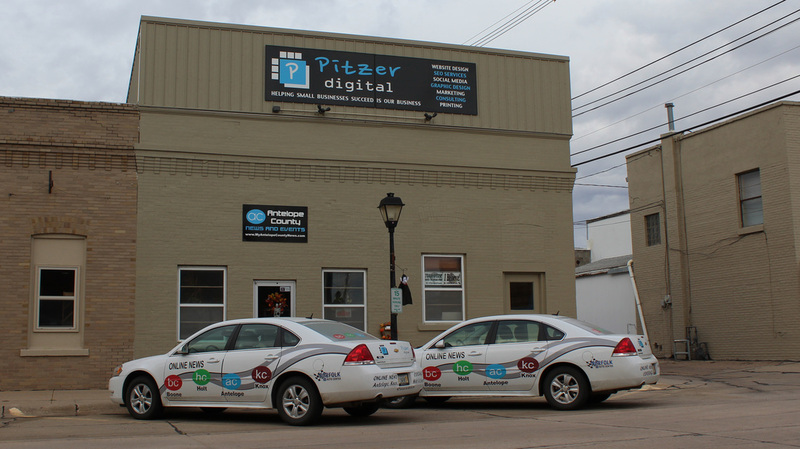 It's been a year of progress, growth and expansion at Pitzer Digital . . . with a few growing pains as well. 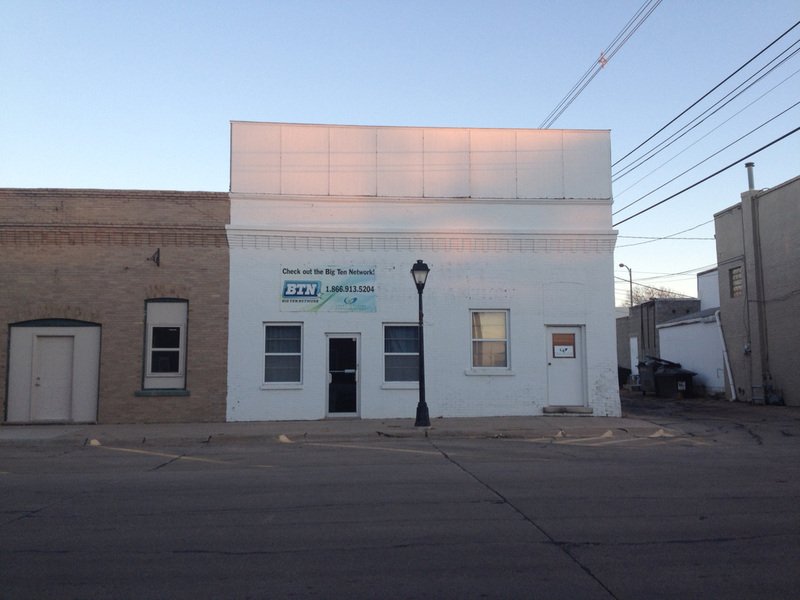 We opened our new office in Neligh in August 2014. Less than 18 months later, we've come to the conclusion that we've already outgrown our building. What was once a cozy office is better described now as crammed. We've added four new full-time positions since April, along with two more subsidiaries to our company making that four subsidiaries under Pitzer Digital. We also have several part-time positions that are vital to our success. Last year we were referred to as the fastest-growing company in Neligh. Now, we're one of the fastest-growing marketing and media companies in Northeast Nebraska. As with any type of entrepreneurship, growth also means growing pains, but we've worked through many of those to become better as we've become bigger. Adding two additional employees in the last month has helped, too. Besides website development and general marketing and printing services, Pitzer Digital now oversees marketing for several companies, including national campaigns. We design magazine ads, write radio commercials and create TV spots. We purchase media rotations for our customers for the best rate of investment. Simply put, we know media very well, so we know where to be, when to be there and how much it's worth. Media has become a major part of our company. We have four subsidiaries of news media websites representing the local counties of Antelope, Knox, Holt and Boone. We began in Antelope at the request of local businesses and have expanded into the other areas thanks to more requests and continued support. We're often asked what our secret to success is. After all, our social media ratio of engagement is consistently at the top of all media in the state. That's not even including our partnerships with other media, such as radio and television. We are young but not little, and we are definitely mighty. As for the secret to success, we'll keep that to ourselves and continue plugging along reinvesting in our company to better serve our clients. We wouldn't be here without our clients and thank them for their trust in us. Trust and commitment has let to great partnerships. We enjoy working with other media and willingly share our content with proper attribution. We're proud of our great relationship with other media. Marketing and media go hand in hand, and it's been a great expansion of Pitzer Digital. Our motto has always been "Helping Small Businesses Succeed Is Our Business." Now, we're helping more rural communities share their news via today's technology. It's an exciting time in rural communities, and we're proud to play a role in helping them grow. Now, if only we had a little more space as we continue to grow. But that will have to wait until 2016. We all know you have just one opportunity to make a first impression and sending a work-related email to someone through your college email of blondie_04@gmail.com won't cut it in the professional world. First of all, that's not my email address. My apologies to whomever it belongs to - if it even exists. But carrie@pitzerdigital.com is my email address. It's professional, plus it's much easier to remember. We design custom business cards for many of our clients. When we ask about email addresses, most would rather not include one than put that old college email on their professional cards. Who can blame them? But wait - they just chose to not have their contact information on their business card. Isn't that the purpose of giving someone your card? It doesn't do you much good to ask to be contacted, but then not provide all of our contact information. The same can be said about the phone company email you were given. What does that say about your business? That's why Pitzer Digital offers email services. You can have just one email address or up to 100 emails. A small business can get five emails for just $3.09 per month. Check out our plans. Do you need to have a website? No, just a domain. Whatever .com you want, we can do that (as long as it's available). Actually, it doesn't even have to be a .com. The sky is the limit - .solutions, .graphics, .education, .expert, etc. If you own a liquor store, perhaps you want to be .vodka. Yes, we can even do that. We recommend using .com, but if you want to be unique, we can help with that. 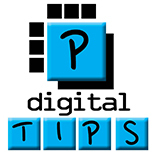 Pitzer Digital is your online image consultant, so let's start with your email image. Call us at 402-887-4000 and we'll help set up your email today. Don't worry, you can still use your old gmail account for personal emails. But let's keep business professional. Frustrated by your children not answering their phone or returning texts. Well . . . there's an app for that. The new app allows parents to lock their child's phone until they call to get the unlock code. Built out of frustration, "Ignore No More" was developed by a Houston mother. The app allows parents to select which phones on their plan they are locking. They then enter a code and the phone selected no longer can make calls, texts or use other apps. The locked phone is programed to only allow calls be made to pre-selected phone numbers. Basically, those who have the unlock code. 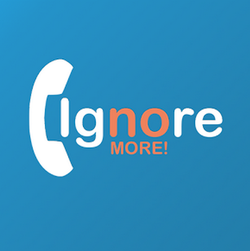 ﻿The Ignore No More app is $1.99 and available for Android phones on Google Play. The app is currently under development for iPhones. In marketing, it's often best to use both a website and Facebook. But what if you're a non-profit - like the Mark Mullins Memorial Fishing Tournament? My recommendation was to go with a website over a Facebook page, but to still utilize Facebook by sharing the website. First of all, I love using Facebook for marketing. It's a great way to reach your friends or people you may not otherwise reach. But Facebook is limiting. Not everyone is on Facebook, much less on everyday. A Facebook page may have 1,000 likes, but that doesn't mean each post is seen by 1,000 people. It could be seen by 200 or 5,000. It just depends on traffic at the time of the post, likes, shares or the boost. But a website can be seen by everyone online and is also easily shared via Facebook. And if the website is optimized well, which doesn't happen overnight, it will eventually build up the right keyword power to be seen by even more people. In this case, maybe people will be searching for fishing tournaments on the Missouri River or a non-profit that grants automotive repair scholarships. Facebook is free and is a great tool, but Facebook cannot be the entire marketing plan, even for a non-profit fishing tournament. It's like saying no for someone without asking them if they're interested in what you have to offer. Let people make up their own mind - but you have to get the information to them. So take a few minutes and check out www.MarkMullinsFishingTournament.com and share the site. After all, you just might know a fisherman interested in the tournament or someone who would like to buy a team at the Calcutta, attend the silent auction or simply donate to the scholarship fund. My favorite memory of Mark Mullins is with his arms high in the air yelling, "Party On!" Now, who would ever want to limit that kind of enthusiasm? Not me. Let's set the record straight from the very first paragraph. If you're a business on Facebook, you need a fan page - not a profile. Sorry, businesses can't have friends on Facebook and this mistake could be costly. I get friend requests from businesses all of the time, but as a business, that's a huge no-no. Actually, it's against Statement of Rights and Responsibilities and your profile could be deleted. But Facebook would never notice anyway, right? Sorry, it does happen. Your profile could be deleted. Even more important that having your entire profile wiped clean is that if you're a business - YOU NEED A PAGE. I hate using all caps - really I do - but I hope this helps drive home the point. Plus, there's the SEO provided by having a Facebook page. I preach back-linking all of the time to my clients. A personal profile for a business will do virtually nothing for your optimization. But a fan page can do wonders, especially if your website isn't optimized. But if your site is well optimized (like our clients!) and you utilize your business page by linking to your site at least 80 percent of the time with your posts, you are so ahead of the game! Here's the deal - not all websites are optimized. I hear from businesses all of the time that say they "think" their site has great SEO, but trust me - most websites don't. If you question that, talk to us about a website audit. Using Facebook correctly will help - but not fix - your optimization problem. So what should you do if you have a Facebook profile for your business, but not a fan page? Convert it - immediately. Stop using Facebook profils for your business today! Create a page! When you convert your personal account to a Facebook Page, we'll transfer your current profile picture and add of all your friends and followers as people who like your Page. Your account's username will become the username for your Page, and the name associated with your personal account will become your Page's name. If you want your Page to have a different name, consider creating a new Page. Download your info, such as all of your sent and received messages and all of the photos and videos you’ve uploaded to Facebook. Appoint a new group admin to any groups you manage. You'll be unable to manage groups once the conversion begins. For full access to Pages features, manage your new Page from a personal account or give someone a role on your Page. What is the best way for a local non-profit to let the community know what is going on as well as keep the organization financially able to hold activities? A website, of course. The Neligh Young Men's Club had a website several years ago and recently decided to revamp their online presence with the focus on improving communication with the community. They also have a Facebook page. The new site - www.nelighyoungmensclub.com - has a modern desktop version as well as a mobile version (seen on the right) that has background info on the organization, list of upcoming events, photos from past events, contact information, as well as a donation tab. The website features a photo that disappears as the user scrolls down the page, giving the site a sleek, modern feel but remains functionally sound and easy to navigate. The NYMC is entirely volunteer based and is able to host the annual Old Mill Days, fireworks, demo derby, pancake feed, give hats and gloves to preschoolers and much more through donations. Now, people can donate online, whether they're able to experience the events that year or not. Lots of former residents remember and comment about how wonder those events are, and they can play a huge role in keeping them going with a donation of any size. People can donate on their phone, tablet or computer and know they're helping the community. Take a minute and check out the new site. Times they are a changin' in Plainview, Nebraska. The City of Plainview received an online makeover recently with a new website, launched a mobile version and bound into Facebook and Twitter. And Pitzer Digital, LLC was there every step of the way, working with administrator Michael Holton. The City of Plainview is one of the first cities in Nebraska to offer a mobile version to online users, making the website easily accessed on a desktop computer, smartphone or tablet. Everything is searchable as well. The website launched in February and features a modern look with app-style buttons on the left and an easy-to-navigate design. The functionality of the site offers ease to newer online users and a modern, crisp feel for those more experienced. The mobile site has click-to-call features for both the city offices and police department for non-emergency situations. If residents want to report an issue, they can easily make a call or submit the information online, improving communication and convenience. While more information will be added to the website during the next several months, the new website already offers much of the information needed by residents, as well as those considering a move to the Pierce County community. There's a link called "What Do I Go For" that answers questions new residents may have about Plainview. Among the content on the website is contact information for city boards, clubs and organizations, as well as dates for festivals, swimming pool hours and fees, forms and permit applications and a city calendar of events. The homepage features a scrolling news feed that will be utilized in emergency situations, including for snow or water emergencies. There are also links to weather, road conditions and community links, such as Plainview Public School and Carnegie Library. Many photos on the City of Plainview website were provided by The Plainview News. The City of Plainview took this opportunity to leap into the world of social networking and launched both a Facebook page and Twitter account. The city also records council meetings and plans to utilize YouTube for uploads, which will be available on that site as well as the new website. But this is just the beginning for the City of Plainview. Among the additions to the website in the coming months will be online bill pay.